The English rock band 10cc released the yacht-rock single I’m Not In Love in 1975 to critical acclaim; the song clocks in at three minutes and forty five seconds making Kelsey Lu’s just-released cover nearly twice as long. This is the cover you didn’t know you needed. Kelsey Lu (singer, cellist, producer) is known more for her cello chops, but this cover gives a capacious avenue for her other honed instrument: her voice. Her vocal performance here is buried in layers of loops, creating an expansive, jagged, and dreamy texture. A perfect tune for a lazy afternoon spent daydreaming. Kelsey Lu’s ethereal and haunting music is grounded in a classical training: she studied cello at North Carolina School of the Arts. She was born to musicians parents in Charlotte, North Carolina. Her father a percussionist, her mother a pianist. They encouraged her interests in classical composition and jazz. She’s worked with Solange, Andre 3000, and Blood Orange and is set to appear on Kelela’s debut full-length. I’m Not In Love was released with a short film, co-directed by Lu herself along with Alima Lee (warning: NSFW). The short film in a nutshell: Lu’s character stares out a window, a dead body is dragged along the wooden floor of her sleek and modern house, Lu breaks into interpretive dance as she stares directly at the viewer, Lu lifts weights as her braid swings in a receptive circular motion. The viewer is lulled into a trance by the recurrent sensuous images. It’s part Hitchcock, part Barry Jenkins. The film compliments the song well: both are lush and beautiful, with a sinister haunting quality just beneath the surface. 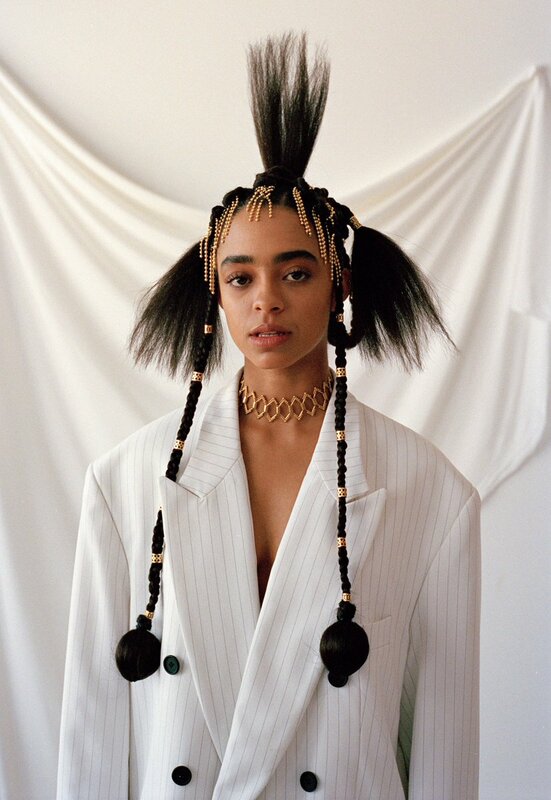 This new cover makes one thing abundantly clear: Kelsey Lu is a unique talent to keep an eye on. Her full length LP is in the works and due later this year. Older PostBetter with Vibes: Benny M.